Just South of downtown, in a wash of brightly colored bungalows and funky-fonted store signs lies Berry Hill, the neighborhood best known for it’s range of eccentric shopping and dining options. In just a matter of blocks you’ll be able to hunt for this year’s Christmas ornaments, grab a casual brunch, or try a delicious array of baked goods from one of Nashville’s favorite pie shops. More into antique treasures? 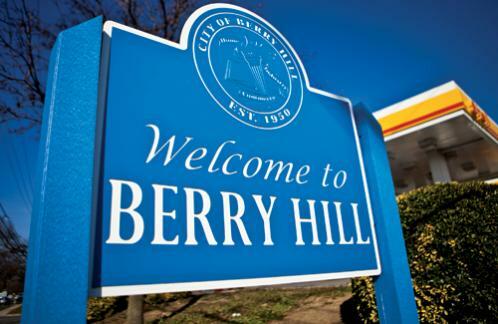 Berry Hill is also just seconds from the State Fair Grounds where the flea market takes over during the last weekend of every month to showcase the best in antiques, crafts, and unique goods. If music is your calling, you’ll be proud to share this neighborhood with some of the city’s best – while recording that is! The neighborhood houses nearly as many studios as people. Despite the number of commercial options, the neighborhood is surprisingly quiet with large trees and partially side-walked streets. If you’re searching for your next home in this little urban hideaway be ready to wait. Inventory is low in general and turnover can be slow.